I've just made a really tough decision. We're going to cancel our 6.15am Fit In The Park and both of our Buggyfit classes tomorrow. We pride ourselves on going out in all weathers, and never cancelling a session. However, looking at the forecast (and the stunning white view from my window), the sensible decision is to cancel now, while I still have the opportunity to email you all. Obviously, don't let me put you off from meeting up and going out for a workout. Training in the snow is great fun. Although snowball fights and building snowmen is even better...and still counts as exercise in my book! 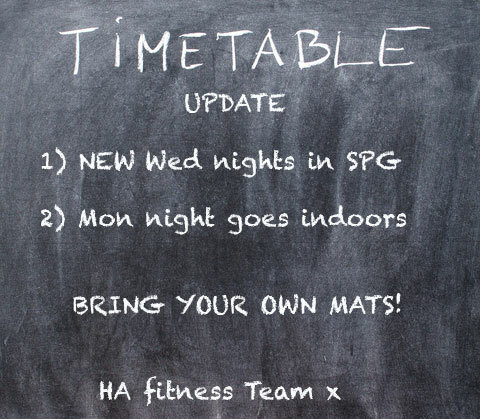 Please do follow our Facebook page (hafitnessLtd) for the most up-to-date news on our classes. Wimbledon Buggyfit Timetable - New Classes! Don't wait until January to join our postnatal fitness classes! We have a busy timetable with Buggyfit classes in 3 stunning Wimbledon locations. Click on the above links for details of meeting points & parking for each location. You're welcome to drop-in for £9 or buy one of our 10/20 class passes. Head over to our Buggyfit page for more info, or drop us a line. Exercising with a group of like-minded people is proven to get better results than training on your own. Strength in numbers gives you a support network, friendly competition & more fun. You're also less likely to quit on a chilly day if you've got friends to meet & workout with. Maybe you've chatted to friends/colleagues/random acquaintances about training together, but have never got around to organising anything. Now's the time to start making it work. Drop us a line & let us know what you're interested in & your potential group size. We'll then put a plan together for you including costs & availability. Skip the small talk & let us do a bit of match-making for you. Tell us when you want to train, where & what you'd like to do. We'll try our best to team you up with some like-minded people. Don't think too hard about it, just get in touch with your initial thoughts & let us do the rest. Book & pay for one-to-one or small group training before 24th December 2013, & we'll give you 1 hour of training absolutely free! This is only available for clients who have not had personal training with us during 2013. Find out more & make your booking. We've got limited slots available on this offer, so don't put it off. We wish all of our clients, friends & especially our HA fitness trainer, Claire Grima, a fantastic race on Sunday. We'll be cheering you on all the way & look forward to hearing your post-race stories next week. 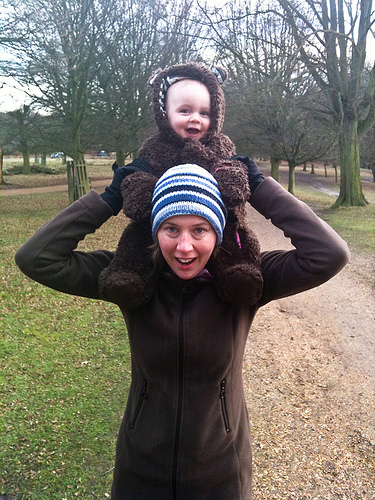 Huge congratulations to our client, Mandy Brown, for running the Boston Marathon on Monday. It's really saddening that what should have been a day of triumph & festivities turned into something so horrific. Let's not allow it to change the way we enjoy & participate in big sporting events in the future. Running a marathon is an experience that's difficult to put into words. It's a mixture of passion, pleasure & pain. However there's something really inspiring about watching those runners pushing themselves to the limit to cross that finish line. Maybe it could be you next year? If you're thinking about putting your name down for a race, doing a run for charity or simply want to improve your fitness levels, get in touch. We can motivate, advise & help you to achieve your goals, & have a bit of fun too! As we draw a close to an amazing 2012, we want to make sure we're ticking all of your fitness boxes for 2013. If our class timetable has something missing, or doesn't quite do it for you, we want to know about it. We'd also love to hear about when we're getting it right too! So whether you're one of our star pupils, occasional exercisers, or still haven't dipped your toe into the HA fitness class water yet, we'd be over the moon if you could complete our very short questionnaire by Wednesday 19th December. Just click here, it'll only take a minute to complete. You'll also be entered into a prize draw to win an HA fitness 10 class pass!